Alexandria has a special place in everyone’s heart. Cairenes and Alexandrians have endless memories of the Mediterranean city. Whether it’s the city’s iconic gelato, walks by the Corniche or feasts of seafood, we all have a soft spot for Alexandria; especially the Montazah. 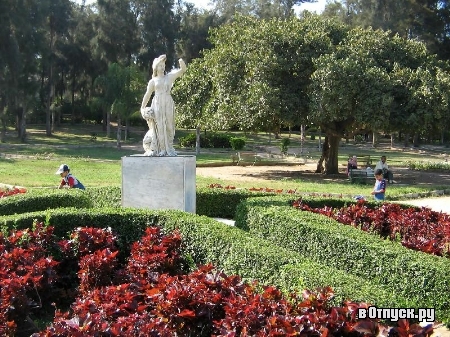 The Montaza Park was built under Egypt’s monarchy during the reign of the Khedive Abbas II. The park has gardens of 150 acres which are open as a public landscape park and forest reserve. As Mohamed Ali’s Royal Family spent their summers in the Montazah since 19th century till 1952, it eventually drew in foreigners and wealthy Egyptians. Around 896 cabins were built and their posession has always been considered exclusive. It is mainly passed down from generation to generation. Since 2013, there has been a legal battle between the Montazah for Tourism And Investment Company and cabin tenants over a failure to pay rent. Just this Monday, 206 cabins were evacuated and demolished. Photos of the iconic venue being demolished have been circulating social media and here is what’s happening. Egypt’s President Abdel-Fattah El-Sisi held a meeting on Monday with the committee responsible for developing the Montazah district in Alexandria. The president gave orders to proceed with a comprehensive development of the area to create the ultimate touristic destination with its exquisite beaches and heritage. 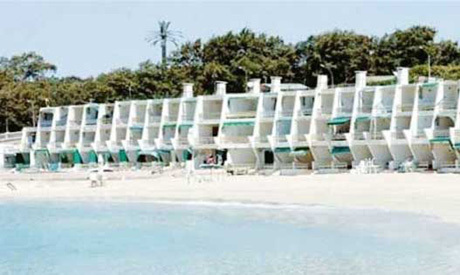 The cabins extended over six exclusive beaches in Monatazah areas like Cleopatra beach and Aida beach. The decision sparked social media outrage as the cabins represent childhood memories. No matter what reconstructive plans the country has for the venue, we can only hope for the best. Let’s reminisce about the beauty of Al-Montazah with Abdel Halim Hafez’s iconic song ‘Meshit’ that was shot at the very same area.